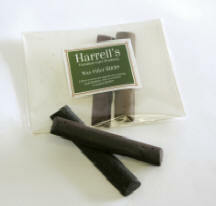 A blend of waxes in hard sticks for repairing small blemishes such as scratches on finished furniture. A mild reviver used by restorers for cleaning, and removing marks and dirt from antique furniture prior to waxing with Harrell's traditional wax polish. A secret formulation passed onto us by one of London's top antique restorers, to help remove water and ring marks from most types of finished furniture. An easy to use oil finish for all types of wooden surfaces. 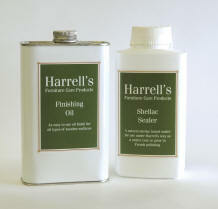 Harrell's Finishing Oil penetrates the timber producing a hard wearing low lustre finish.